Owner has severed Washington State Pest Management Association As Co chair of education for 8 years; President of the Board of Directors for four years. Please look at our website for professional affiliations. Very thorough inspection and application of products. So far, we’ve only seen dead bugs... We had concerns about typical pests and he went above and beyond. They even consider what “might” be a future concern and took the necessary actions for prevention. This is our first service and we expect that we will have peace of mind from this point forward. Prompt and professioan we'd recomend you folks to anyone. We had a great experience using Eden. They were reliable, friendly and priced very reasonably. We will continue to use them for all of our pest needs. Excellent service, willing to come back and repeat if any insects return...love that! Friendly and reliable service, calls to inform us of arrival day/time which is always nice to have! Loved you 3 and very helpful. Did a great job. Thank you for your hard work. Will use your company again for spider spray. Eden customer service is fantastic! Very professional and extremely timely in their service! Fabulous. Would recommend them to anyone. Always arrive on time and gets to work. I enjoy a bug free home. Avery School District #394 is thankful for your help in pest control at the Calder Elementary and District Office Building. We appreciate being on a regular schedule and having the bills sent electronically. Very happy with service so far all bugs are gone. Personnel were very professional. Love it! No more ants and bees! Thank you Eden! Excellent customer service.Thank you very much. Thnk you hope no more bed bug. I am happy with your survice. Fantastic customer service. Our pest issue was handled quickly and efficiently. Jack and our technician were both very kind and patient with all our questions. TPM program is a no brainer to make sure all pests stay away for good! I've used Eden for 10years and I've always had great service! Thanks John, Paul, Darin and Ryan! Excellent customer service, prompt treatment, knowledgeable friendly and efficient!! They go above and beyond for their customers. I highly recommend Eden! Money well spent! Professional service. Very knowledgeable, spiders wasps ants Gone ! Should have called them along time ago! Thanks Eden. The Crate Guy .....Nine Mile Falls Wa . Always prompt, professional and thorough. Very knowledge about their product. We are very pleased with the service we received for our problem with carpenter ants. From the time he finished spraying, (animal friendly) we have not seen any ants,we have less bees and bugs in general. Thank you for the help in getting a handle on our ant problem. Ryan had a professional manner and knowledgeable with the application of the products. Thank you for being a loyal customer! Our Technicians strive to give knowledgeable, quality customer service. Thank you for allowing Eden Advance Pest Tech. to service you. Liked your service, liked your workers. If we weren't moving we'd stay with you. Thank you for being a long time loyal customer! Our Technicians strive to give knowledgeable, quality customer service. Thank you for allowing Eden Advance Pest Tech. to service you. We have been using Eden Pest Control for the past 14 years, and we are very pleased with their service! Absolutely the best service we have ever had. Strongly recommend this pest company for anyone. Thank you for the wonderful review and being a loyal customer. The Total Pest Management Program truly is "worry free pest control". Excellent professionals to work with while dealing with the Landlord's nightmare situation of bedbugs! Tenants didn't report the problem until they'd wasted valuable months trying to "self treat," during which time infestation became more severe. Eden came in quickly and strong with high heat treatments and chemical sprays. They're a knowledgeable team with years of experience. We're very happy with the results of their treatments and definitely recommend them. We are so glad we could help you with this issue. We are happy that you choose our Total Pest Management Program! It is the best preventive service for Bed Bugs and many other invaders. I think the company does a great job.very happy. Thank you for being a loyal customer! Our Technicians strive to give knowledgeable, quality customer service. Thank you for allowing Eden Advance Pest Technologies to service your property. I’ve been with Eden for over 10 years. They helped me end a long term mouse problem stemming from some nasty neighbors and I haven’t had a problem since. I tell everyone, “Call Eden, they will help”. Darren is awesome!! Very happy with the service we have received. Thank you for the kind words! Darren always strives to give quality customer service. Thank you for choosing Eden Advanced Pest Technologies to service your property. Eden Advanced Pest Technologies has been reliable, consistent and very personable. I have been a customer for several years and have been very satisfied with their technicians. They listen carefully and then explain where they will spray. They always remind me to keep my pets inside for several hours after spraying which I appreciate. I no longer have the ant infestations that plagued me in the past. So as long as I have bugs, I will use Eden! 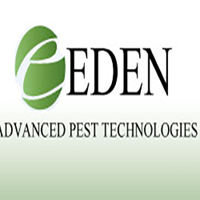 Eden Advanced Pest Technologies is very easy to work with and does a great job for our company. Thank you for being a loyal customer! Jack & Sammy strive to give knowledgeable, quality customer service. Thank you for allowing Eden Advance Pest Tech. to service you. Fast, knowledgeable and effective. Pleasant, too. Thank you!!! Thank you so much! Our Technicians strive to give knowledgeable, quality customer service. Thank you for allowing Eden Advance Pest Tech. to service you. I have used the services of Eden Advanced Pest Technologies for a considerable period (years and am extremely pleased with the services provided. They have been prompt, courteous and most of all, greatly effective in keeping pests in control and I highly recommend their services. My house was being destroyed by carpenter ants but since contracting with eden I have not seen a single one. Thank you for being a loyal customer and allowing Eden Advanced Pest Technologies to service your property. Our Technicians strive to give knowledgeable, quality service. Eden Advanced Pest Technologies staff were professional, friendly and very easy to work with. The only reason that they didn't get a five star rating is that they didn't communicate with me the time that they would be coming to service my home. Despite that, they came and completed the job easily and well! We are so happy that you choose Eden Advanced Pest Technologies to service your home and property. Our Technicians strive to give knowledgeable, quality customer service.